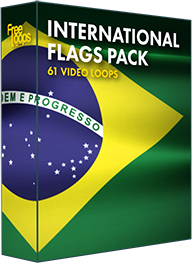 An endlessly repeating video loop of the national flag of Brazil. Also known as A Auriverde, the Brazilian flag features the national motto “Ordem e Progresso”. The perfect video loop for your DJ, VJ or VDJ sets, a video background ready for any kind of use.